Last week we took a look at the Top 50 North American and European sires by APEX A Runner Index (click here), using new Midyear 2015 data, meaning from 1/1/2009 through 7/5/2015. A particular note about this, if you will refer to the table on page five of last Wednesday’s paper, is that the earnings thresholds are based on racing through that date. Thus, the 2% A Runner threshold calculated on July 5 was, for example, $83,084 in North America. The 2014 year-end threshold was $134,655. Therefore, it is highly likely that some horses that are A Runners now will be B Runners at the end of the season, if they don’t add to their current earnings; there will also be new A Runners, of course. 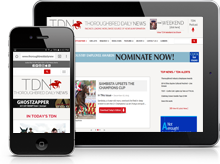 This week, as we await installation of the new detailed APEX data on the TDN website (we’ll let you know as soon as that goes live), we wanted to look at two sets of categories: first, the leading sires by number of A Runners and ABC Runners, and at the overall leaders among the 463 qualifying sires (North American and European sires with 175+ year-starters 2009-2015), in ABC Runner Index. Then we will look at the leading F2011 and F2012 sires, with their first 4-year-olds and 3-year-olds this year. To lead the categories by number of 2009-2015 A Runner and ABC Runners, a sire has to not only be top-class, but prolific. Coolmore has the top two in both categories: the remarkable Galileo is way in front with 145 A Runners (note: a horse is counted as a year-starter every year it starts, and as an A Runner every time it earns more than the A Runner earnings threshold, up to seven years), and comfortably in front by 2009-2015 ABC Runners, with 341. His own sire, Sadler’s Wells, is the only other sire ever to have produced top-quality horses in such quantity; in 10 crops of 3-year-olds, according to the TDN Cumulative General Sire List, in which Galileo already ranks fifth (click here), Galileo has sired 162 Black-Type Winners, of which 103 are Graded/Group Winners, and 41–more than four per crop–are Grade I/Group 1 winners. It’s quite a phenomenal record, and puts Galileo truly among the greatest sires of the last 40 years. Coolmore’s American arm, Ashford’s, Giant’s Causeway ranks second in both categories: a distant second, with 111 A Runners 2009-2015, and a closer second, with 320 ABC Runners. He is averaging more than 15 A Runners a year (Galileo: more than 20), and more than 45 ABC Runners (Galileo: almost 49). Three North American sires with first foals 2006 (seven crops of 3-year-olds) rank 3-4-5 by number of 2009-2015 A Runners, and 3-4-6 by ABC Runners: WinStar’s Speightstown ranks third with 94 A Runners and 268 ABC Runners; Darley’s Medaglia d’Oro is fourth by A Runners (92) and sixth by ABC Runners (251); and Gainesway’s champion sire Tapit ranks fifth by number of A Runners (91) and fourth by ABC Runners (264). WinStar’s veteran Distorted Humor rounds out the top five in ABC Runners, with 263. Of the 463 North American and European stallions, the leading sire by ABC Index (top 8% earners) is actually the deceased Canadian sire Niigon (2.52, or 20.80% ABC Runners from Year-Starters), a son of Unbridled who benefitted from the rich and lengthy, slot-assisted Ontario racing seasons. Because of their admirable racing opportunities, Ontario sires should just about have an asterisk attached to their ratings. Adena Springs’s Ghostzapper has recovered from a slowish start at stud to rank #5 by A Runner Index (3.41), and he ranks #2 overall with a 2.45 ABC Index (19.60% of year-starters). Speightstown (2.41) and Galileo (2.31) are next, followed by Spendthrift’s Into Mischief (tied for second with a 3.93 A Runner Index) and veteran California sire Unusual Heat, each with a 2.29 ABC Index. A Runner Index #1 sire War Front (3.98) is tied with Lane’s End’s Curlin for seventh with a 2.28 ABC Index, followed closely by Medaglia d’Oro (2.27). Darley’s Dubawi (2.17) rounds out the top ten by ABC Index. All these have higher than 17% ABC Runners/Year-Starters. WinStar’s Pioneerof the Nile, sire of Triple Crown winner American Pharoah, is the runaway leader among North American and European third-crop sires by both 2015 and cumulative progeny earnings, and is also the leading F2011 sire by A Runner Index (3.32) and Number of A Runners (13). Five other F2011 sires with 70+ year-starters 2013-2015 have A Runner Indices above 2.00. California’s Vessels Farm’s Square Eddie (3.06), with just 80 named foals in three crops, is the #1 sire of 2-year-olds in North America at this writing, and is also the #1 F2011 sire by ABC Index (2.42), as well as ranking second by A Index. 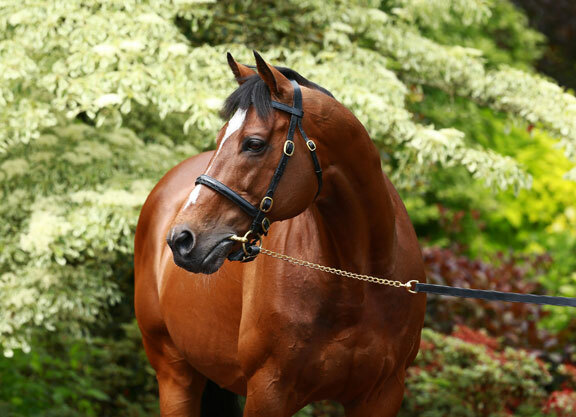 Coolmore’s Fastnet Rock (2.56), who has 3-year-old Group 1-winning fillies Qualify (Epsom Oaks) and Diamondsandrubies (Pretty Polly S.), ranks third; he is, of course, a ‘reverse shuttler’, already having been champion sire in Australia. Adena Springs North’s Giant Gizmo, by Giant’s Causeway, ranks fourth, with a 2.23 A Runner Index (he is also #2 by ABC Index, with 1.90), followed by Florida’s Get Away Farm’s Two Step Salsa (2.16), with Sea The Stars (2.12) completing the sextet of F2011 sires with 70+ year-starters and an A Runner Index above 2.00. Coolmore’s Mastercraftsman is the leading F2011 sire by Number of ABC Runners (33), followed by Pioneerof the Nile and Sea The Stars, with 29 each. Sea The Stars is second by Number of A Runners (10); Fastnet Rock (9) is third by Number of A Runners as well as by A Runner Index. This is the first time F2012 sires, with their first 3-year-olds in 2015, are rated. There are only 37 North American and European F2012 sires with 50+ year-starters. At the moment, eight of them have A Runner Indices above 2.00. Ashford’s Lookin At Lucky (3.61) is tops by A Runner Index, and is also the leading F2012 sire of A Runners, with seven. Spendthrift has the two-three by A Runner Index so far, Temple City (3.41) and Line of David (3.23), both of which would qualify as revelations. Next on the list are the top two European F2012 sires: the Aga Khan’s Haras de Bonneval’s Siyouni (3.06) and Ballylinch’s Lope De Vega (2.63), Europe’s leading freshman sire of 2014. Darley’s Midshipman is another who has been relatively unconsidered, but is defying the doubters with a 2.53 A Index, and ranks second by ABC Index (1.90). Darby Dan’s Tale of Ekati (2.11) and Ashford’s Munnings (2.02) come next, with Claiborne’s Blame (1.88) and Florida’s Ocala Stud’s Kantharos (1.72) rounding out the F2012 Top Ten by A Runner Index. Kantharos (1.94) is the leader by ABC Index, ahead of Midshipman (1.90) and Lookin At Lucky (1.80), with Munnings and Lane’s End’s Quality Road, North America’s leading freshman sire in 2014, sharing fourth ranking with 1.71 ABC Indices, just ahead of Taylor Made’s Eskendereya (1.70). Lookin At Lucky is leading sire by Number of A Runners (7), followed by Temple City, Siyouni, and Lope de Vega (6 each) in a three-way tie for second. Munnings comes next, with five, followed by Line of David, Midshipman, and WinStar’s Super Saver, with four each (Super Saver gets extra credit for last weekend’s Grade II winner, even though it was past the deadline). Munnings (17) leads Quality Road (16) by Number of ABC Runners, then Lookin At Lucky and Eskendereya (14 each).